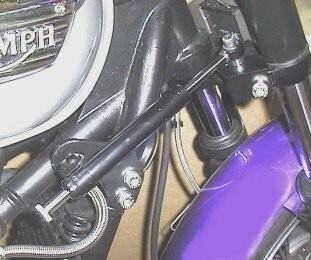 These bikes can be light at the front end particularly when using high handlebars. This 7 way adjustable steering damper can really help to make the bike hold its line on long bumpy corners or when crossing lines or cracks. It is easy to fit & unobtrusive.